1.1. This Privacy and Cookies Policy (“Policy”) explains how Bahrain Bourse B.S.C. (c) (“BHB”, “we”, “us” or “our”) collects information from you when you visit or register to use www.bahrainbourse.com (the “Website”) and how this information is then used. If you have any questions about this statement or your personal information that we may collect from you, please contact us at [email protected]. 1.2. Please read this Policy carefully and re-visit this page from time to time to review any changes that may have been made. 1.3. This Policy applies to you whether you use the Website as a casual browser, have registered to use the Website or have entered into a contract with BHB in relation to the supply of specific services and/or products. In the event of any conflict between this Policy and the terms of a contract you have with BHB, the relevant provision of that contract shall prevail to the extent of any inconsistency. 1.4. Unless legally compelled to disclose, BHB has a commitment to safeguard and keep confidential all information relating to its investors and their financial affairs, however such information is received. BHB assures you that your personal information will be treated as confidential and with the highest standards of security. 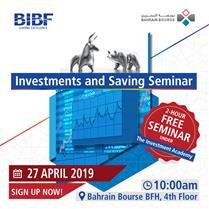 The use of your information will be kept to the minimum required in order for BHB to continually monitor and improve its services to its investors and to keep you informed about its products, services and other opportunities within BHB. 1.5. This Policy applies only to information collected by this Website. Please note that our Website may include links to other websites, which are not covered under this Policy. 2.1 This Website includes texts, figures, diagrams, data, images, explanations, prices, statistics, advertisements, names, logos, trademarks, trade names, services graphics, signs, indices, publications and all other information related to BHB, and/or any other external entities as may be available on the Website, published and distributed by BHB, and/or may be obtained from any other source(the "Information"). 2.2 The Information is provided on an "as is" basis or on an "as available" basis and may not be accurate, complete, or updated. BHB makes no warranties about the accuracy, reliability, completeness, or timeliness of the content, or its fitness for a certain purpose. BHB reserves all rights to make any change, alteration or deletion in whole or in part to the Website or to the Information. In no event shall BHB, its representatives or any other person associated with BHB, be liable for any errors, omissions, incompleteness, or inaccuracies, or for the consequences of any decision made or action taken on the basis of the Website and/or any of the Information. 3.1 BHB will not collect any personal information about you from your browsing of the Website unless you agree to collection and use of your personal data. 3.2 When you enter into a contract with us for our services or products, you may be asked to submit personal information about yourself in order to receive or use these services or products. This information may include, for example, your name, address, job title, telephone number, email address and financial information necessary to conclude the contract and enable administration and management of such services or products. We will only collect information that is necessary for us to provide you with the product or service that you have requested. The type of information that we may collect will depend upon the nature of that service or product. 3.3 Where we collect personal information, we will use it for administration and to tailor our service and/or products to match your needs. We may also use personal information to conduct market research surveys, for statistical analysis to determine site usage, to run competitions and for direct marketing purposes relating to our business. 4.1 Users are requested to note that all links from the Website are provided for Users' convenience only. 4.2 The information and contents that may be viewed by a User at a Linked Site, are not controlled, reviewed or approved by BHB and shall not be deemed to be provided by BHB. Users are requested to note that BHB is not responsible for, nor does it make any representations or warranties of any kind as to the contents of the Linked Sites. 4.3 BHB reserves the right at its discretion to disable any unauthorized links from the Website. 5.1 We will hold your personal information securely and will only keep it for as long as is reasonably necessary in the circumstances you are registered to use the Website or for as long as you use the service that you have requested, unless you have provided us with your consent to use the data for any additional purposes. We take the security of the Website and the information you provide very seriously and we will take all appropriate technical measures using recognized security procedures and tools in accordance with good industry practice to protect your personal information. 5.2 BHB uses appropriate technical and organizational security measures in order to protect the data we have under our control against accidental or intentional manipulation, loss, destruction as well as access by unauthorized persons. Our security procedures are continually enhanced as new technology becomes available. 5.3 Whilst we use all reasonable endeavors to protect your security in the manner described above, we consider that it is only appropriate to advise users that data transmission over the Internet and the World Wide Web cannot always be guaranteed as 100% secure, and therefore that you use the Website at your own risk. 6.1 Any information howsoever presented and provided on the Website pertaining to financial products, including without limitation, securities and derivatives products, or of companies identified, listed or proposed to be listed on BHB, are strictly of a general nature only, and shall not under any circumstances be construed as providing any recommendation, opinion or indication by BHB as to the merits of the said product or company. BHB shall not be liable for loss, claims and damages arising from reliance by Users on such information. 6.2 None of the Information shall be interpreted as an invitation for investment in any instrument or securities traded in BHB but are for information purpose only. The Information shall not constitute a part of: (1) any offer for sale, purchase of, or subscription in any securities, or (2) any invitation in relation to such offer. 6.3 The Information shall not be construed as professional, legal, financial or investment advice or any other kind of advice. They should not be relied upon for this purpose. BHB shall not bear any responsibility for any investment decisions or other decisions with respect to the Information contained on the Website. The contents of the Website, in whole or in part, must not be construed as a basis for reliance on the Website in connection with any contract or commitment. 7.1 BHB use reasonable endeavors to ensure that information contained in the Website and its Contents are accurate, correct or obtained from sources believed to be reliable. However, Users shall acknowledge that delays, omissions or inaccuracies may occur due to defects inherent to electronic communication. The provision of information on the Website and its Contents, including the material posted in the announcements, is provided to Users on an “as is” basis without any representations or warranties of any kind. 7.2 BHB disclaims all expressed and implied warranties of any User or any third party in regard the Website including without limitation, representations and warranties as to the accuracy, timeliness, completeness. 7.3 BHB shall not in any circumstances be liable to Users or third parties for any loss or injury caused or arising from contingencies beyond its control in the procurement, compilation, interpretation, editing, reporting or delivering of the Contents or any part thereof. 8.1 The materials displayed and contained in the Website, which may include all information, data, materials, graphics, price or other information as well as any software programs available on or through the Website (‘Content’). All rights, titles and interests pertaining to the Contents are owned, licensed to or controlled by BHB. 8.2 Users may view the Website and its Contents. However, Users are prohibited from copying, storing (either in hardcopy or in an electronic retrieval system), downloading, transmitting, transferring, publishing, reproducing, broadcasting, displaying, distributing, selling, licensing any part of the Contents to any third person, without the prior written consent of BHB. 9.1 BHB reserves the right at any time and at its sole discretion to revise, change, alter or vary the Contents and/or terms and conditions of use as herein contained. The continued use of the Website by Users following any such revision, change, alteration of variation shall constitute the acceptance of, and agreement to be bound by such revision, changes, alteration and/or variation. 10.1 The Policy shall be governed by the applicable Laws of the Kingdom of Bahrain and BHB shall have the right to amend and revise this Policy at any time as it may deem appropriate at its absolute discretion. All amendments to this Policy shall be enforced immediately upon publication thereof on this Website. 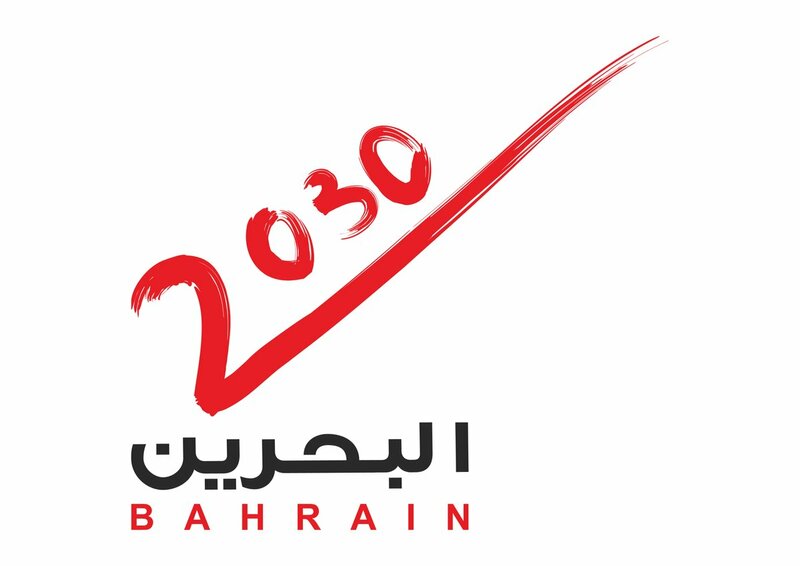 10.2 By access to this Website or use of any of the Information, you acknowledge and agree that any claim or dispute arising out of this Policy or resulting from your access to or browsing of the Website or use of any of the Information shall only be resolved and decided by the competent Courts of the Kingdom of Bahrain.